Eternally comforting, carpet is always in style, making it one of the most popular ways to floor. With its endless variety, there are carpeting options appropriate for all types of settings and décor schemes, giving you the chance to completely transform your favorite space. At Floors Direct Carpet One Floor & Home in Gilroy, we offer up a wide array of the latest carpeting, from trendy to traditional. Our seasoned flooring experts are always happy to share their knowledge with you and you can rest easy knowing you’ll find the perfect carpet: one that you and your family will love for years to come. Let’s delve deeper in the world of carpet and why it could be a wonderful addition to your business or residence. Carpeting is one of the best-rounded types of flooring available today, having the power to transform and accentuate all your favorite styles. There are carpet options for everyone and every budget, with plenty of affordable choices that have a luxurious look and feel. The modern carpet market boasts beautiful selections to suite just about all of your flooring requirements, whether you need a durable floor for a kid’s playroom, or a lush and formal carpet for stately living room. However, it’s important to know what you’re looking for, paying close attention to detail. First and foremost, you’ll want to familiarize yourself with carpet terminology! Your carpet’s fibers, known as pile, will determine how your new rug functions. Synthetic fibers such as nylon are extremely durable, soft, and affordable. A naturally-sourced fiber, like wool, feels rough to the touch but is easy to care for and also hypoallergenic. Frieze or “shag” carpeting, which is always on trend, has deep and twisted pile and is great for casual spaces. Level loop carpeting is a great all-purpose rug, with its short-looped pile standing up to heavy foot traffic. Patterned carpeting is quite formal, with its pile trimmed and looped to form intricate patterns. Textured carpeting is casual and durable, with its short fibers rough to the touch. This seriously strong carpet works well in a den or family room. Plush carpeting is extremely lush and velvety, making it best reserved for very formal rooms that don’t get a ton of foot traffic. Floors Direct Carpet One Floor & Home in Gilroy, CA boasts the region’s most extensive carpet inventory. We specialize in carpeting, offering up all your favorite rug brands and Carpet One exclusive brands. As part of Carpet One Floor & Home, which is the world’s largest cooperative of independently owned flooring stores; we boast incredible buying power and localized services. 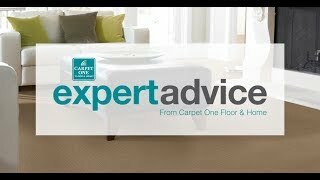 Our experts will help you choose the best carpet for your home or office. Visit our Flooring Guide to learn more. Durable, stylish, and ready for any impromptu matinee, our home theater carpet options by Joy Carpets ought to be in pictures.